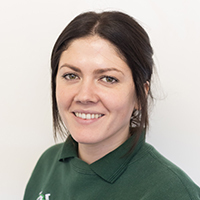 I have worked at Vermuyden Vets since summer 2017. I enjoy all aspects of nursing especially working alongside the vet during surgery. I like cats and have two cats at home. Wispa, a black moggy that I rescued and Dolly, a ragdoll.